I found out pretty quickly that once the canopy skirt is installed, there’s no a good way to open the canopy without putting asymmetric forces on the canopy itself. I had seen that some had installed a semi-circular handle on the back of the skirt to aid in opening and closing the canopy from the outside. So, I searched and found a brushed nickel drawer pull on the Internet, and it worked out beautifully. Now, I just pull up and back, and the canopy opens up easily. 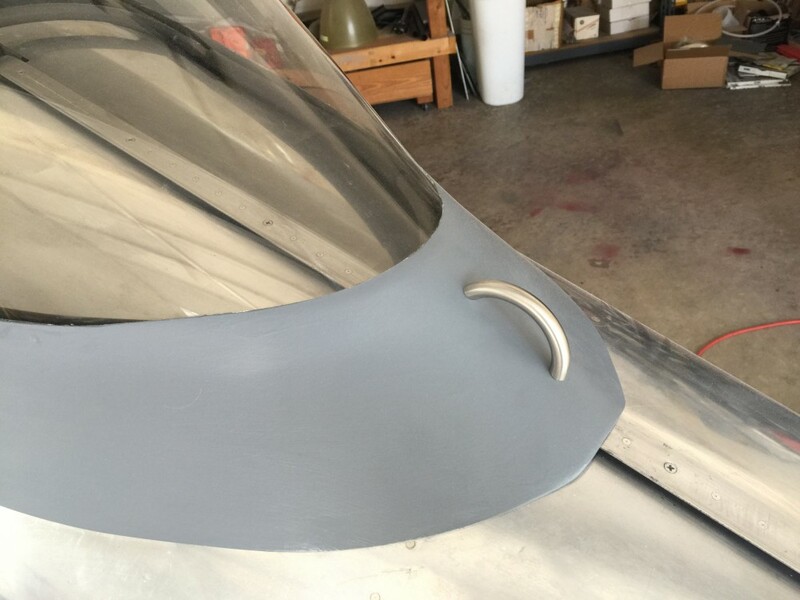 This entry was posted in Canopy and Windscreen, Fiberglass, Fuselage on May 14, 2016 by Mark Dickens.